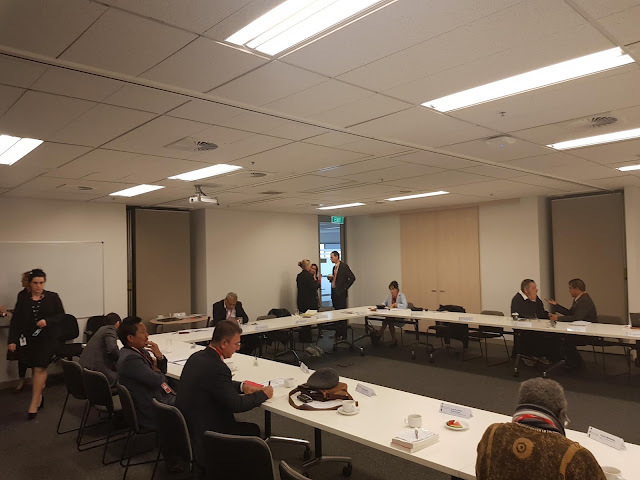 A meeting for Humanitarian Program Consultation & Humanitarian Intl Protection Policy Section, has been successfully organized by Australian Department of Home Affairs on 15 May, between 12:00pm and 2.30pm. 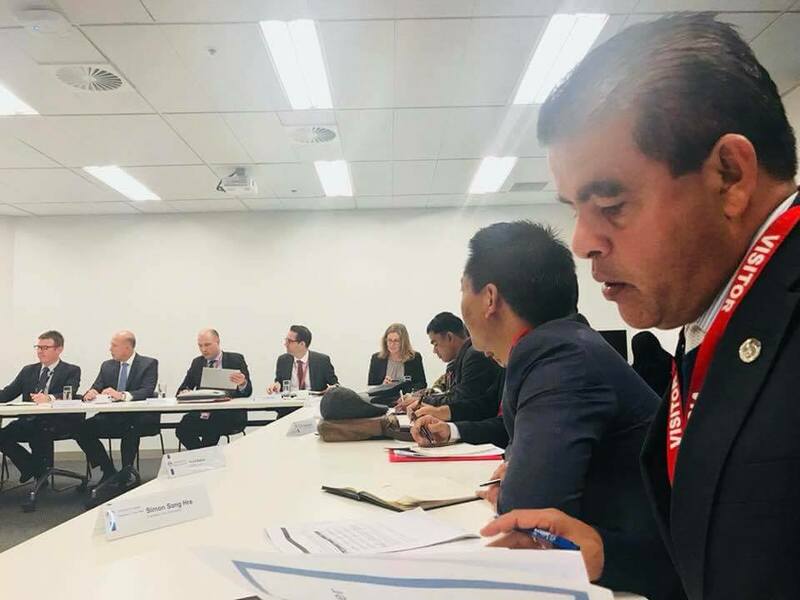 The home affairs minister Peter Dutton MP has met friendly with all representatives from AMES, Red Cross, Brotherhood of St. Laurence, Islamic Council of Victoria, Ethnic Communities Council of Victoria, Foundation House, and many others. 1) political interferences including visa bans on military generals and their family members, boycotting their investments. 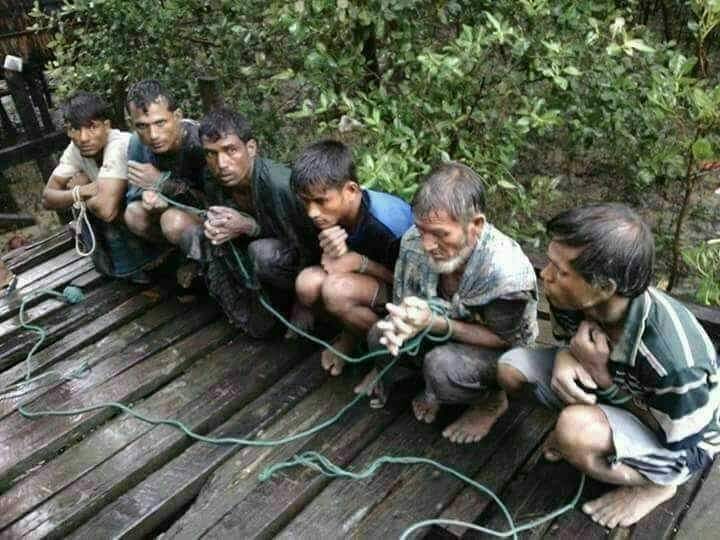 2) sharing an equal number of Rohingya refugees intake. 3) identities verification process, delaying visa processing and rethink of TPVs and SHEVs. 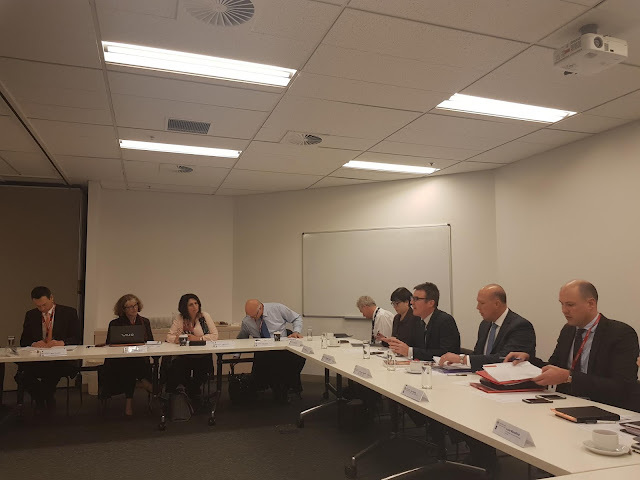 4) barrier substances of integration and contribution into Australia, the needs of prior job traning and skills. 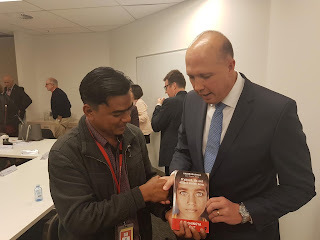 5) immigration values and Australia international obligations..
After the meeting, Habib passed a copy of his recent book- 'first they erased our name' and also said the Australia intake to include Rohingya has been strongly quoted by Parsuram Sharma-LuitalJP, Brotherhoof of St. laurence, Chin, Karen Kareni leaders.